Previously, on MinerBumping... Agent Alt 00 embarked on an exciting expedition. The goal: To locate an Anti-Ganker and talk sense in him. 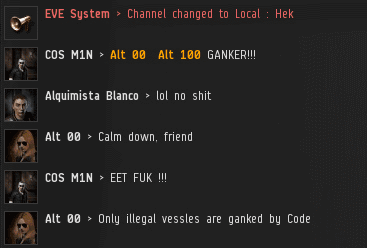 Alt 00 attempted to flush the Anti-Gankers out of hiding by ganking some mining ships. This did provoke a response--from other miners. 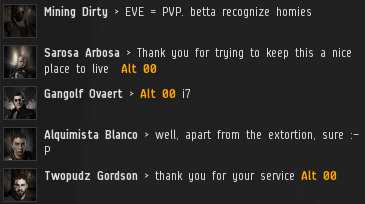 Earlier, Alt 00 destroyed an Anti-Ganker who was using a Gila to provide comfort to a nest of Retrievers. Once the Gila was gone, the Retrievers fled in terror. But one stayed behind. Flytesla's fail-fit Retriever shocked and appalled our Agent. It was tanked, sure--for a Retriever--but it lacked mining equipment. In other words, Flytesla's isk/hr rate was slightly less than that of other highsec miners. 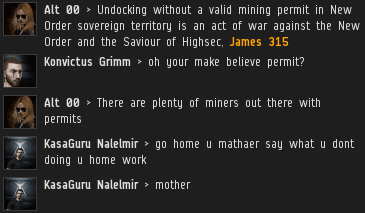 Alt 00 looked at the rebel miners and shook her head. They looked like they were almost ready to start dumping tea into a harbor. 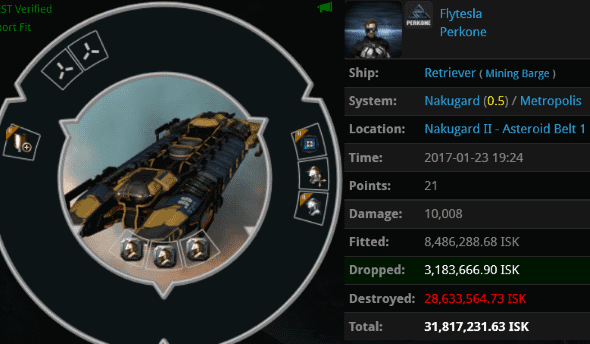 All this over 10 million isk? Spoiled miners. Our Agent moved next door to Hek and was immediately spotted by a lookout. Obviously there was some illegal activity going on here. 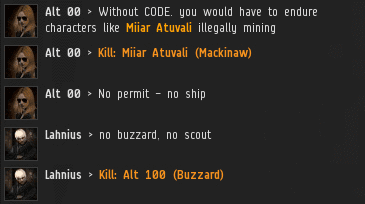 As Alt 00 suspected, an unlicensed mining operation was already in progress. Our Agent shut it down. The termination was followed by a public outcry, but no Anti-Gankers were yet to be seen. Sometimes it feels like the hearts and minds of highsec are so stubborn. On such occasions, one might get the impression that the New Order's good works go unappreciated. ...But the truth is, there are countless Code supporters in highsec. They love and respect our Agents. Alt 00 scouted the rest of Hek's asteroid belts and noticed a Vexor loitering in one of them. She killed it, just in case it belonged to an Anti-Ganker. Then she returned to Nakugard to see how things had progressed in her absence. Another combat ship was found in an asteroid belt. 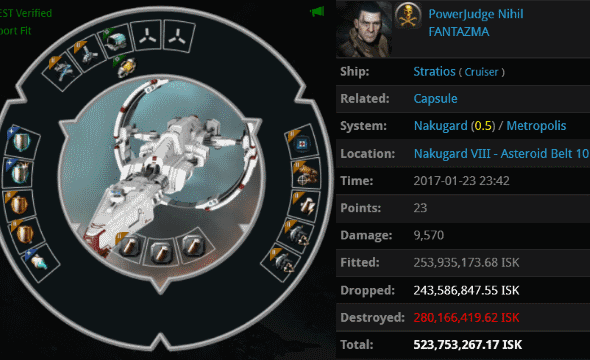 This time it was a 523 million isk Stratios. 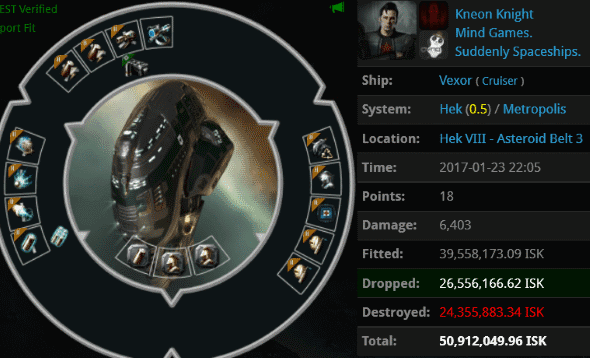 Alt 00 destroyed the vessel and recovered about a quarter billion isk in loot. The Stratios' presence in the asteroid belt was suspicious, but there was no confirmed Anti-Ganking activity. A few days later, Alt 00 made another visit to the Hek system. The usual suspects made complaints in local. The asteroid belts were vacant; if there were any unlicensed miners, they all docked up when Alt 00 entered the system. Then Alt 00's scout spied a lone Mackinaw chewing on the rocks. At last! Alt 00's numerous trips to the busy trade hub had paid off. A pair of Anti-Gankers tried to stop her from killing the Mackinaw. 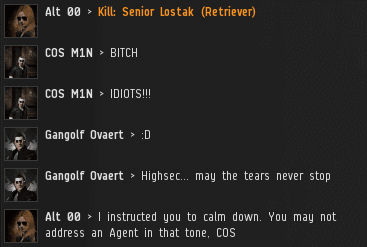 As usual, the Anti-Gankers merely got on CONCORD killmails and failed to prevent the gank. Still, they had tried to do something. Alt 00 was one step closer to making contact with an intelligent Anti-Ganker. When Alt 100's Buzzard scooped the Mackinaw loot and went suspect, a Loki showed up and popped it. Was Lahnius the Anti-Ganker our Agent had been looking for? Sounds like AG is doing a great job! 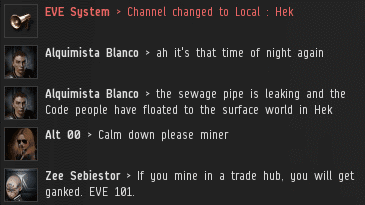 Sounds more like Alt 00 is doing a great job by making highsec a dangerous and fun place to be. Where would these anti-gankers be right now if not for fine agents like her? Probably playing some other game after getting bored of mining for the 50th time. Full marks to Alt 00, for persistence in the face of (some) resistance. Someone give her a medal. It's too bad I can't play anymore. I got anti-ganked pretty hard. Without me CODE. has dropped to #13 alltime pvp alliance. 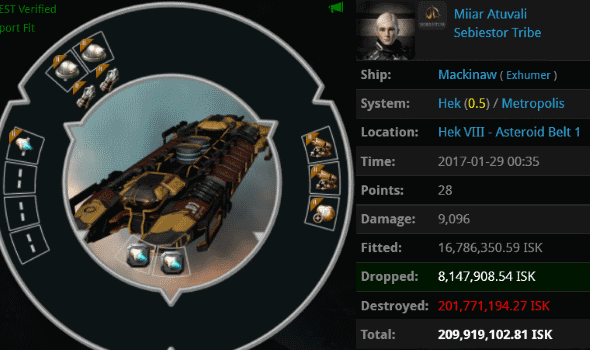 Won't someone petition CCP for me to get me reinstated??? How mad and impotent you gotta be to make fake Wolf posts? Looks like pedojedus and the ag PHags need a RL break. That's not healthy, but I guess they just have no self control. Juvenile at best, child killers at heart. How mad and/or CRAZY do you have to be to post anonymous ganker tears about a fictional anti-ganker?!? HSM really getting to you eh? It's like those characters we keep killing "HSM Grand Admiral". It just kills you guys inside that we are unstoppable and that we enjoy killing you and thwarting your evil ways. Now the part about 'child killers' with that incredibly base statement, making light of a real tragedy, that alone confirms everything we already think of you, in game and in RL, and you make us more emboldened and eager to stop you. It's no wonder recruitment and member logging into CODE. is at an all time low. All that's left in that organization are bitter angry vets like yourself. Like that alpha ganker contest you guys had. With record numbers of people logging in to eve, no one with an alpha clone participated. And honestly who would? Homophobic, right winged comments like this we can look straight into your soul! Everyone that was a "former white knight" with a conscience has long left your organization, biomassed, and moved on to better things if they even play eve anymore at all. So get a jar of mayo, ganker scum. 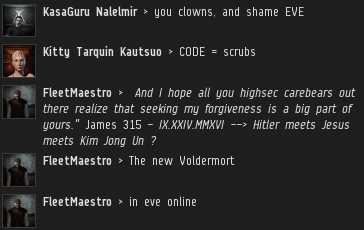 You are literally the worst of the worst in all of Eve, and we will stop you. 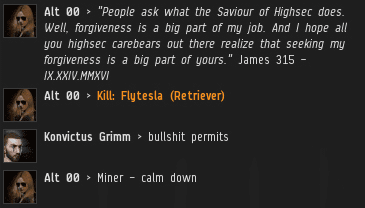 OMG - "Flytesla's isk/hr rate was slightly less than that of other highsec miners" -- I really did snort water all over my keyboard this time. Thank James for waterproof keyboard covers! Please keep giving us this outstanding content, Saviour! Outstanding performance! First a Gila, then a Stratios. So much for being unwilling to shoot targets that can shoot back. I shudder to imagine what Metropolis would be like without you.